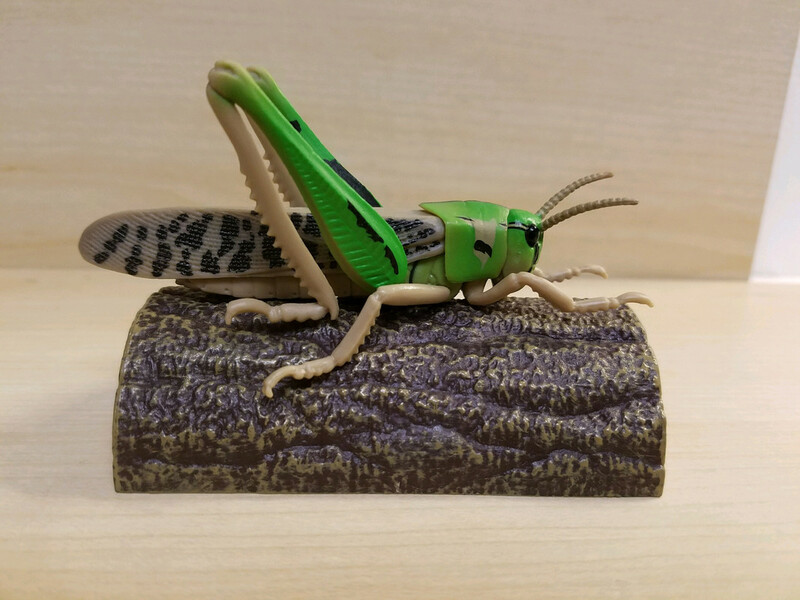 Walkaround of the migratory locust, Locusta migratoria (Linnaeus, 1758) by Takara Tomy A.R.T.S. - B.I.G. Insects, No. 5, new for 2018. For most of the last several years, T-TARTS' annual 'B.I.G. Insects' set has included four scarabaeoid beetles and one non-scarabaeoid. 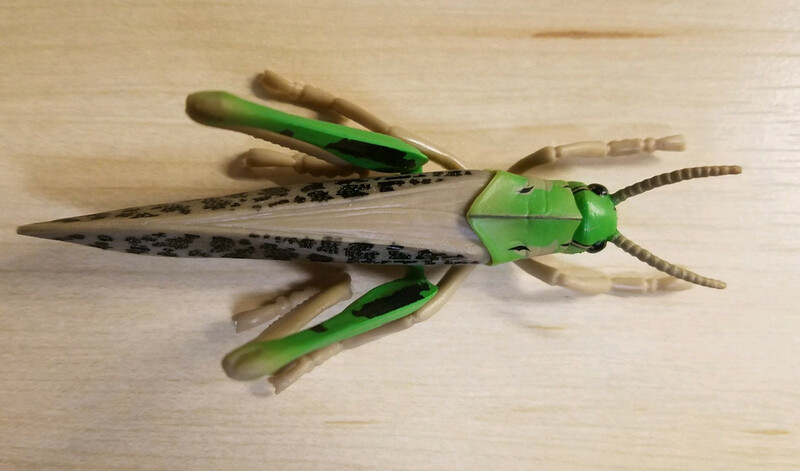 Recent examples include the Japanese carpenter ant, the giant Asian hornet, a couple mantids, and a crayfish. The figure is stunning. 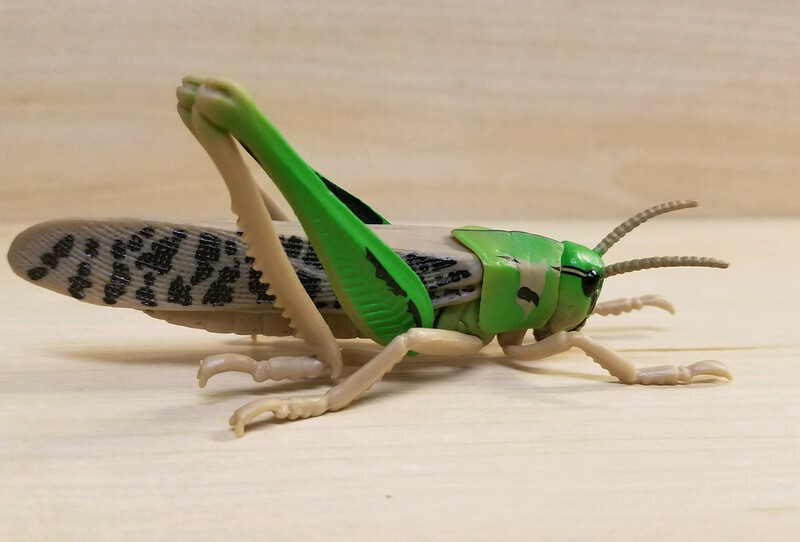 Definitely above par for T-TARTS insect figures! The four beetles that were released along side this figure are nice but simple: very smooth and monochromatic. 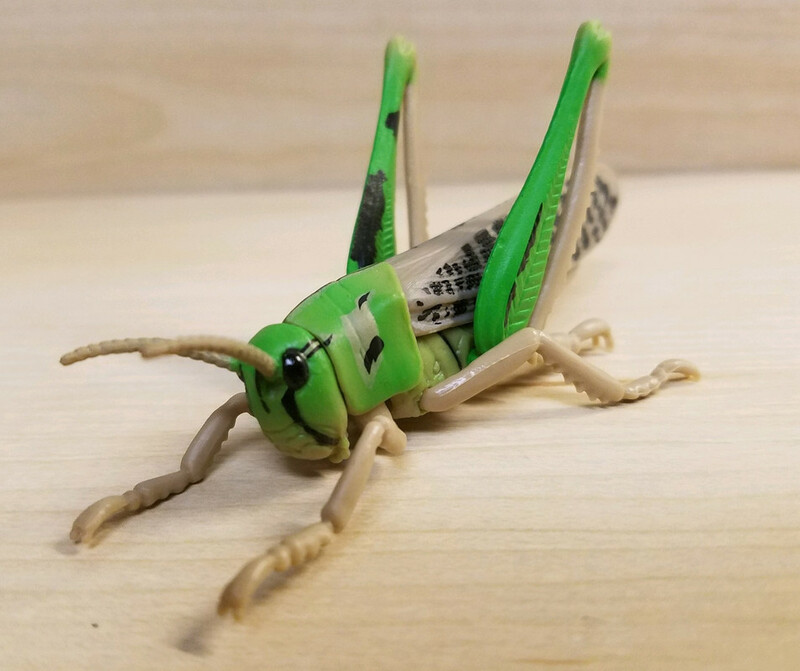 The locust is anything but. Extreme detail went into the texture, and it has a nice matte-like finish. The colors are very nice, and depict the usual scheme of the species' solitary phase. 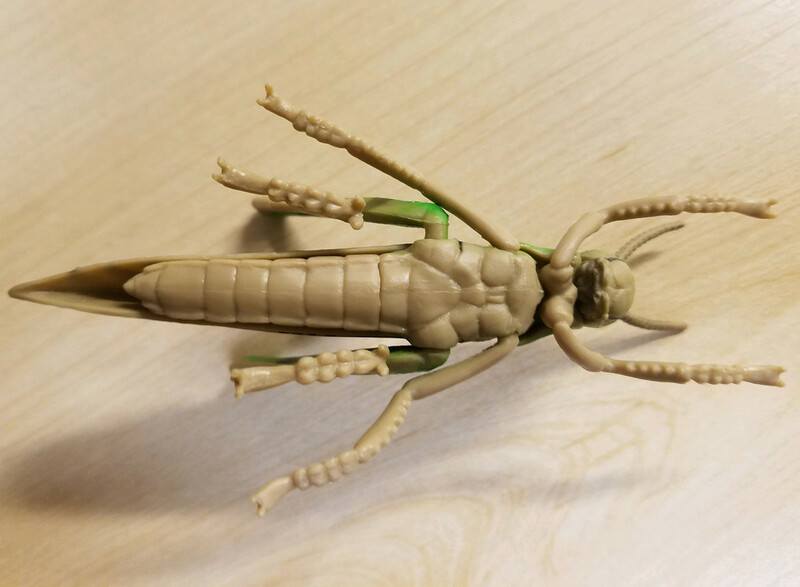 The figure measures 8.0 cm (not including antennae nor legs), making it slightly larger than 1:1 for the normal range of 4.0-6.0 cm. Like most figures in these series, assembly is required. 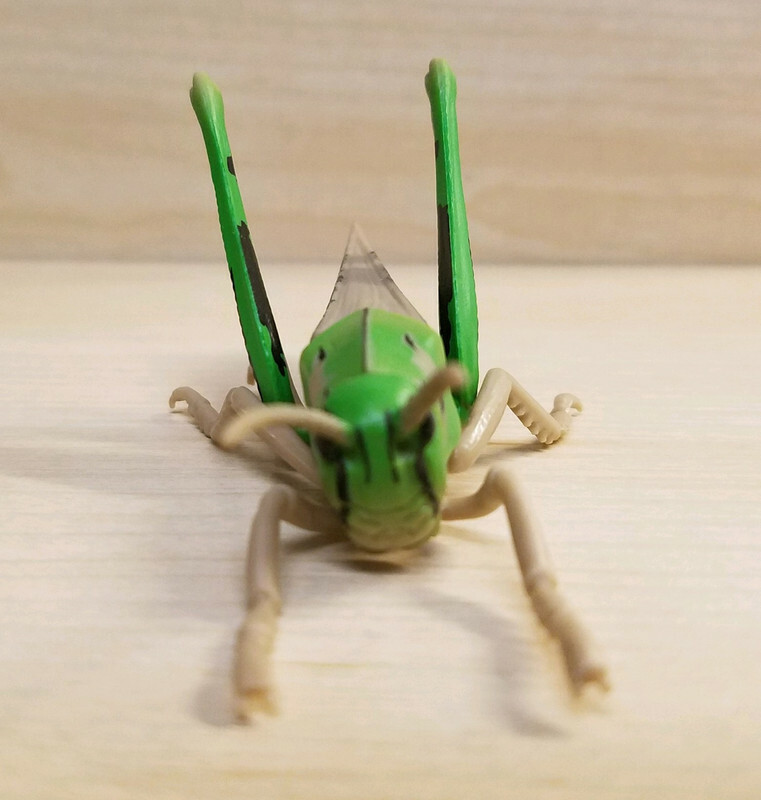 This one comes in 9 pieces: wings; abdomen and meso- + metathorax; upper portion of prothorax; head; the middle and hind legs are individual, but the front pair of legs are part of the underside of the prothorax.